You might have come across a lot of strange places in India. One such place is Karni Mata Temple which is located at Deshnoke (About 30 km from Bikaner, Rajasthan). Usually referred to as ‘Temple of Rats’ or ‘The Rat Temple’, Karni Mata Temple is 600 years old and houses more than 20,000 black rats all of which are alive ! These rats are considered to be holy and are called kabbas. People from all over the country and even from foreign nations come to visit this temple for getting blessings. A lot of tourists also visit the temple due to their curiousity to have a look at the temple of rats. Local people in Deshnoke have different versions of stories to tell about Karni Mata Temple. According to the most common version, an army of more than 20,000 was deserted and returned to Deshnoke. After getting to know about this sin, Karni Mata decided to spare the lives of all the 20,000 people of the army but turned all of them to rats. Not only that but she also offered a place for them to stay. It is said that these soldiers turned rats expressed their gratitude for sparing their lives and promised Karni Mata to stay at the same place to serve. 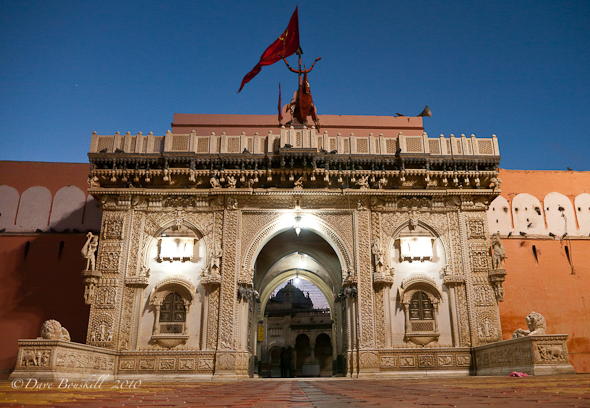 Karni Mata Temple was constructed in the times of Maharaha Ganga Singh of Bikaner in early 20th Century. When you enter the Temple, you would see a lot of beautiful marble work in the front part of the Temple. The doors of the entrance is made up on solid silver. As you move in, you will find a lot more silver doors with embedded images of Goddess. Later in 1999, Kundanlal Verma of Hyderabad-based Karni Jewelers made a few additions to the temple. 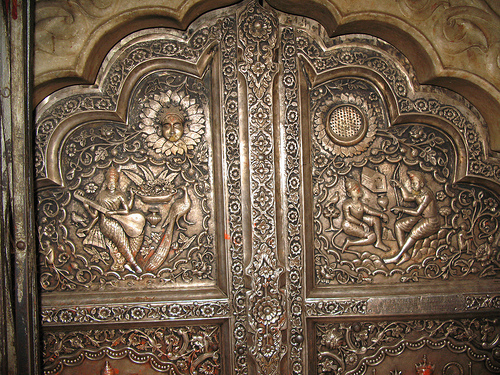 All the silver doors and carvings of the marble are also donated by Kundanlal Verma. You would see more than 20,000 black rats in Karni Mata Temple. However, in addition to the black rats there are a few white rats as well. 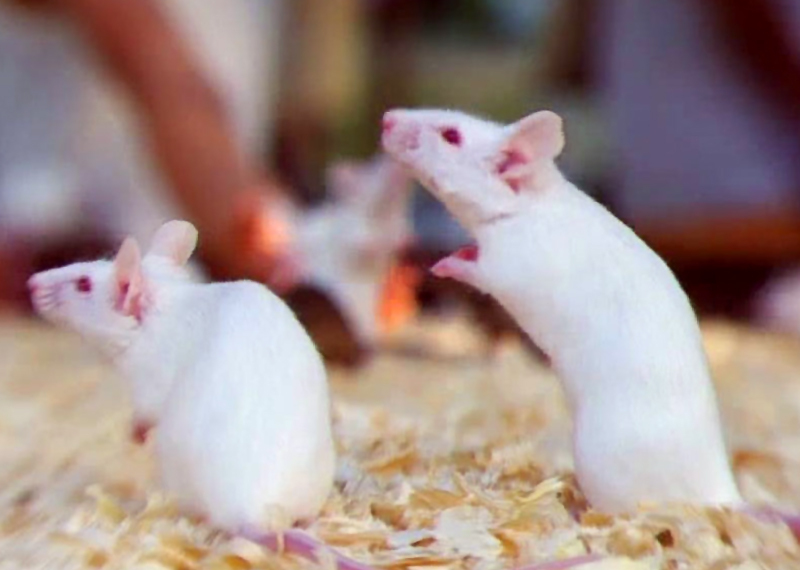 These white rats are considered to be extremely holy. People often refer it as the manifestations of Karni Mata and her 4 sons. It is not that easy to have a sight of the white rats at the Temple. If you are lucky enough you might get to see a few white rats out of a bunch of 20,000 black rats ! The door of the temple opens up for public every morning at 4:00 a.m. There is a daily Mangla-Ki-Aarti held at the temple premises where pilgirms offer bhog. 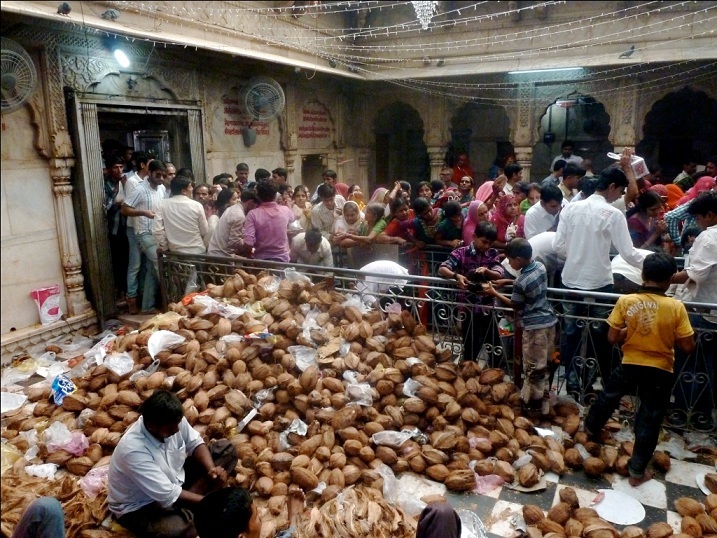 Devotees come from various parts of the country and abroad to make offerings to the rats. You could find a huge number of rats all over the temple and they are considered very auspicious. March to April : The first and larger fair is held in March–April during the Navratras from Chaitra Shukla Ekam to Chaitra Shukla Dashmi. 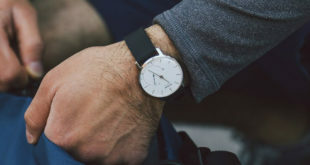 September to October : The second fair is held in September–October, also during the Navratras, from Ashvin Shukla to Ashwin Shukla Dashmi. During Navratri you could see thousands of people traveling to the temple from long distances by foot.